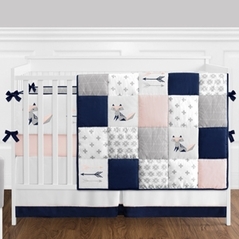 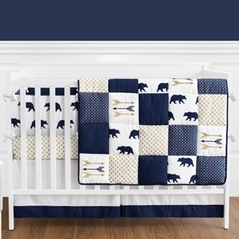 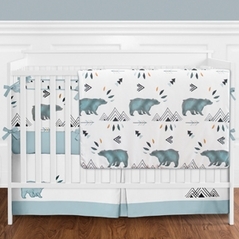 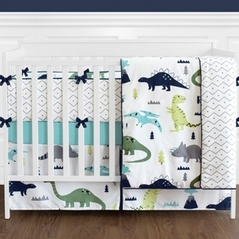 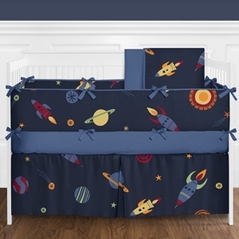 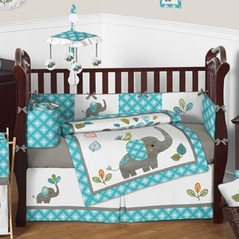 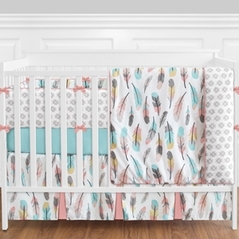 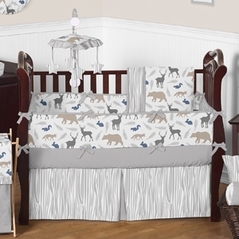 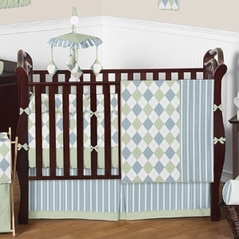 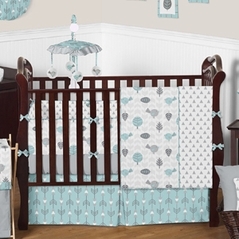 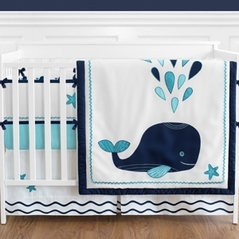 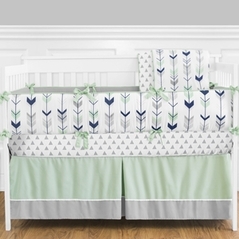 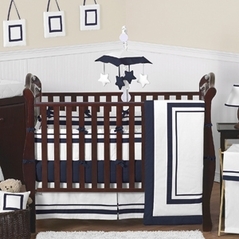 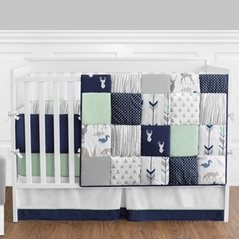 You might think that Blue Crib Bedding is just for baby boys. 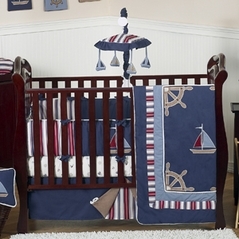 But blue is actually a very versatile color that can work equally well for babies of any gender. 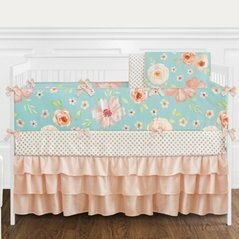 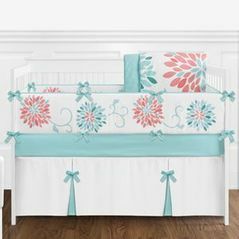 Beyond Bedding offers a wide selection of blue crib bedding sets that would look great for a baby girl or a boy. 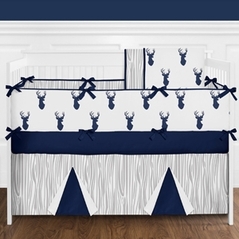 Blue bedding is a wonderful choice for boys or girls because it is such a visually soothing color. 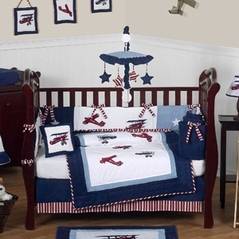 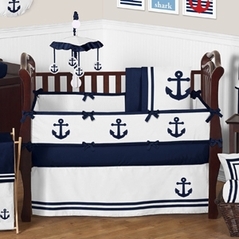 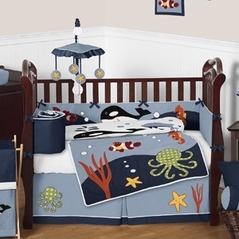 For boys, fun nautical themes, sports appliques, and trucks designs make the perfect blue bedding set. 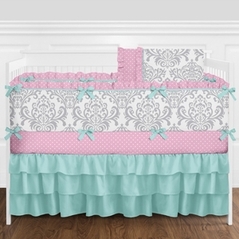 And for little girls, there a beautiful patterns that range from light blue to dark blue and even soft pastel hues. 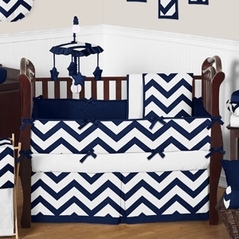 Because Beyond Bedding has such a wide variety, our bedding sets can provide something for everyone. 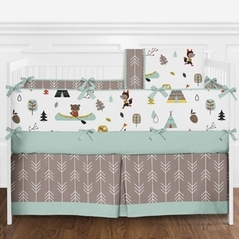 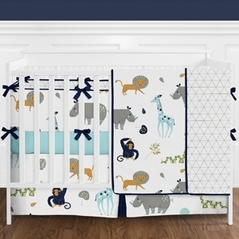 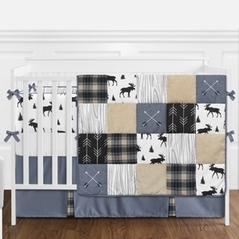 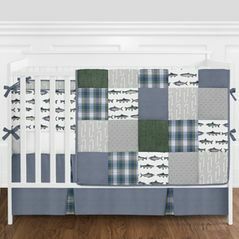 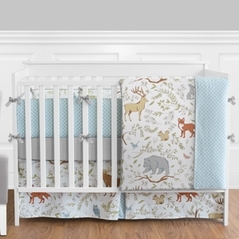 If you are decorating with an army or military nursery theme our boys� camo blue crib bedding is exactly what you�ll need to outfit your little soldier�s room. 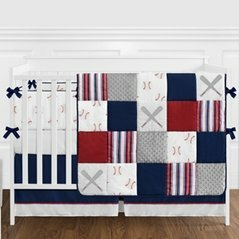 As you browse our beautiful collection of blue bedding for babies, take a minute to look at some of our most popular sets like the Playball Sports bedding in our sports crib bedding section or the Frankie's Fire truck bedding set from our fire truck crib bedding section. 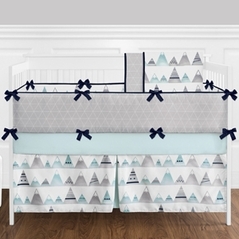 And to make decorating fun and easy, all of our kids bedding products have matching bedroom accessories at the same low prices we offer for kids bedding!